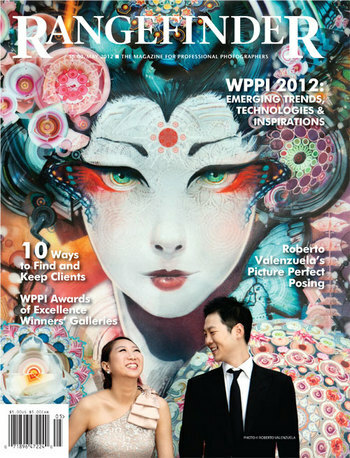 I’m featured in this month’s Rangefinder magazine, a publication that goes to all the professional photographers. This is how the cover looks (which I didn’t shoot). 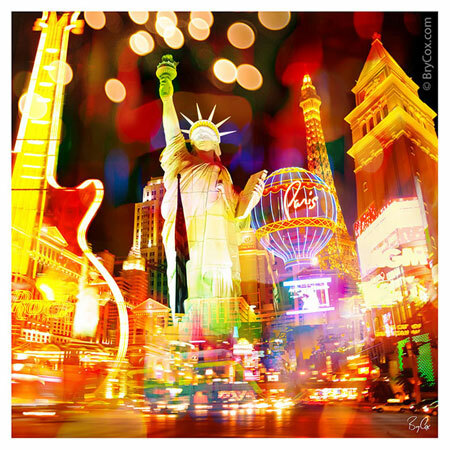 It was for the big WPPI event in Vegas for which I created this collage below, mentioned in a previous post. I was pushing and hoping this would be the cover, but it didn’t make it for that. However, it was used in the story, positioned on the edge of the page to catch viewers eyes as they flip through the magazine. 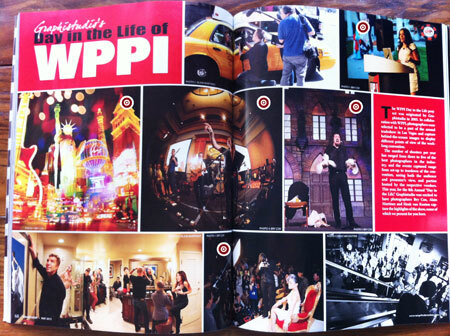 Here’s the opening spread. I added little targets on my images (5 of the 8 on this spread). The bottom left image is a multi-image stitch created by Alain Martinez, one of the other two people on the project with me. He shot me and another of other prominent photographers one by one, and put it all together for this one image. There are more images of ours in the story, along with a little write-up of the three of us who worked on the project: me, Alain Martinez from Miami, and Henk van Kooten from the Netherlands. There is a book that will follow, and I’m very excited to see how that comes out. 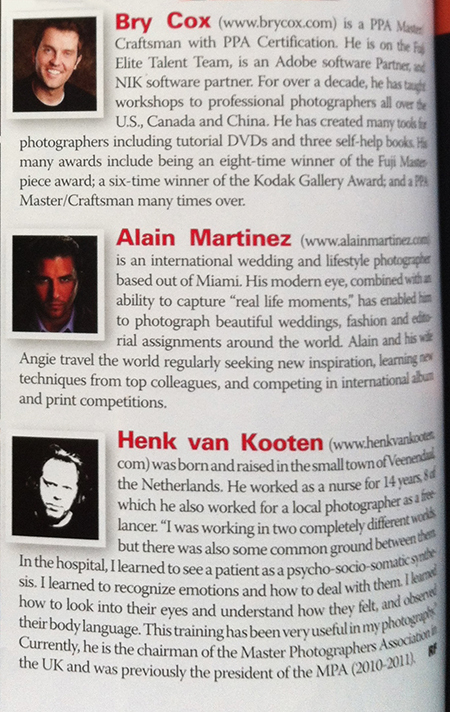 It was a real honor to be asked to work on this as well as to work with Alain and Henk and get to know them better. On another note, it’s spring time and now is a great time to get a new family portrait. Give me a call at 801-728-3317 to schedule a time. And feel free to browse my main website at BryCox.com.